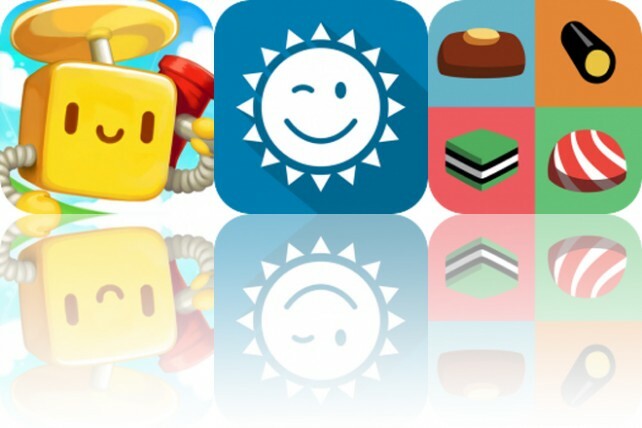 Play while learning to code, have a look at the weather, and make tasty treats with today’s collection of apps and games. Sweet Factory Prime is available for free for a limited time. It has a 4-star rating with a total of 18 ratings. SpriteBox Coding ($4.99 → Free, 161.9 MB): Play while learning to code with SpriteBox Coding. Anyone who wants to learn to code. SpriteBox Coding is a platform game that will help anyone learn to code from scratch. In the game you’re tasked with repairing your broken rocket. Along the way you’ll come across problems that can only be solved using basic coding concepts. You’ll be introduced to everything from sequencing and parameters to loops and basic Swift syntax. The game includes a total of 70 puzzling platform levels. SpriteBox Coding is available for free for a limited time. It has a 4.5-star rating with a total of 7 ratings. YoWindow Weather ($2.99 → Free, 66.9 MB): Have a look out the window to see what the conditions are like with this fun weather app. YoWindow is ideal for anyone looking for more than just a list of temperatures from their weather app. YoWindow Weather is available for free for a limited time. It has a 4.5-star rating with a total of 2101 ratings. Linda Brown: Interactive Story ($1.99 → Free, 188.3 MB): Tell your own love story in Linda Brown: Interactive Story. Fans of choose your own adventure. Love is in the air, and you get to decide the direction it takes in Linda Brown. Each episode sets up a unique scene, requiring you to choose your own path by making big romantic decisions. The love story is advanced through high quality cutscenes starring life-like animated characters. Each week you’re able to experience a new episode. Linda Brown: Interactive Story is available for free today only (07/18). It has a 4.5-star rating with a total of 2727 ratings.